Rubber Cement Poisoning is the accidental or intentional intake of any product containing the compound. The exposure may be through inhalation, skin or eye contact, or following ingestion of the chemical. What is Rubber Cement Poisoning? What are the Causes of Rubber Cement Poisoning? What are the Signs and Symptoms of Rubber Cement Poisoning? The signs and symptoms of Rubber Cement Poisoning can vary from one individual to another. It may be mild in some and severe in others. Several systems of the body, such as the digestive, nervous, respiratory, ENT and skin systems, may be affected. How is First Aid administered for Rubber Cement Poisoning? Who should administer First Aid for Rubber Cement Poisoning? First aid for Rubber Cement Poisoning is administered by healthcare professionals. What is the Prognosis of Rubber Cement Poisoning? 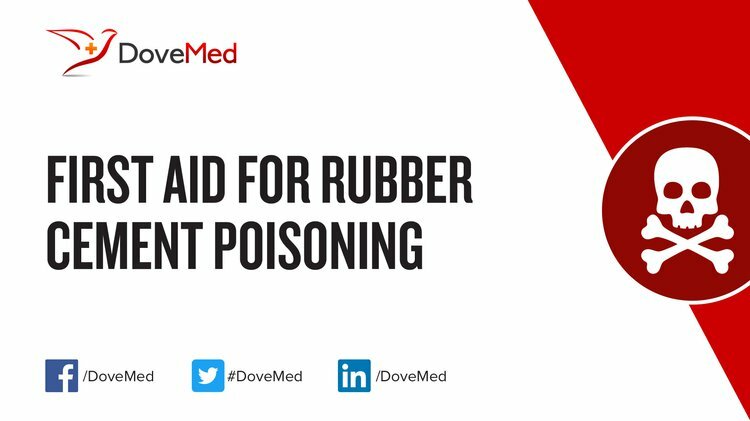 How can Rubber Cement Poisoning be Prevented? Pacheco-Torgal, F., Jalali, S., & Fucic, A. (Eds.). (2012). Toxicity of building materials. Elsevier. Karade, S. R. (2010). Cement-bonded composites from lignocellulosic wastes. Construction and building materials, 24(8), 1323-1330. Ziemba, R. (2011). The Use of Individual Prophylactic Kit for Observers Assigned to the Regions of Polish Military Contingents. MILITARY PHARMACY AND MEDICINE, 9. Jacob, S. E., Herro, E. M., & Taylor, J. S. (2012). Contact dermatitis: diagnosis and therapy. In Textbook of clinical pediatrics (pp. 1467-1476). Springer Berlin Heidelberg. Number, P. Klean Strip Adhesive Remover/Klean Strip Premium Stripper. Roy, K. (2015). Safer Science Explorations for Young Children. Science and Children, 52(7), 26.